Natural Disastars, Climate tips to travel, Natural Disasters in India, Climate Tips in India. The rainy (or monsoon) season in western and south-western India extends from June to September. 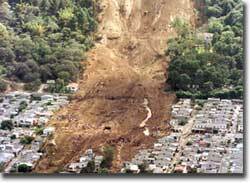 Severe rainstorms can cause flooding and landslides. India's coastline is subject to tropical cyclones. These storms can result in significant loss of life, extensive damage to infrastructure and can hamper the provision of essential services. Travellers should keep informed of regional weather forecasts, avoid disaster areas and follow the advice of local authorities in this regard. Authorities have asked those travelling to or living in Mumbai to be especially vigilant during high-tide days. Flooding can be more severe at these times. In many other parts of India, severe floods, which can cut-off the affected areas, are common during the monsoon season. India is located in an active seismic zone. In the summer, northeastern India periodically experiences heat waves. Travelers should keep informed of regional weather forecasts and plan accordingly. Travel in the rural areas during the Monsoon season can be hazardous and care should be taken. Monsoon rains cause flooding and landslides that can cut off some towns and villages for days. Check access routes before setting off. Cyclones and tropical storms are common, particularly off the Bay of Bengal affecting most of the East coast of India. You should monitor local and international weather updates from the Indian Meteorological Department and follow the advice of local authorities and tour operators.